Scenic Highway 30A lives up to its name. 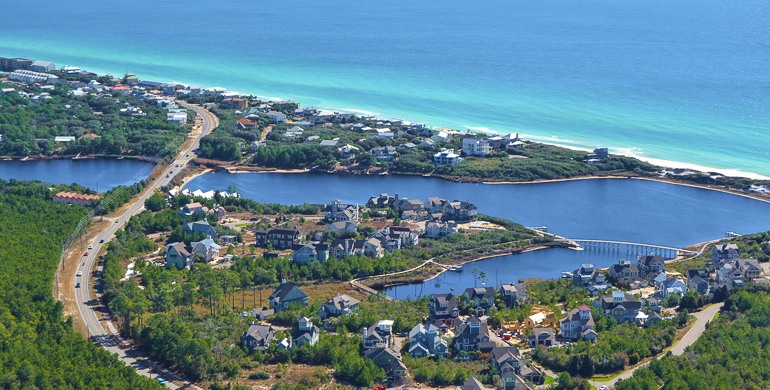 It offers 18 miles of breathtaking views, winding along Northwest Florida’s scenic Emerald Coast. Beauty and peace are only the beginning of what can be experienced along this corridor. Beach cottages are nestled in white sands, pine forests offer miles of walking trails and several small towns provide communities filled with unique beach lifestyles. Whether you’re looking to experience a family style town, like Seaside, where everyone is your neighbor, or you want the peaceful solitude of a small city but near a bustling town such as Blue Mountain Beach, you have several options to find a community that fits your needs. The Scenic Highway 30A area is a wealth of opportunity for visitors and for those who call it home. Whatever your style, if your dream involves a beach, it doesn’t get any better than life along Scenic Highway 30A. The outdoor enthusiast is rewarded with water and land activities including: swimming, boating, fishing, hiking, biking, camping and wildlife watching. For those who prefer friendly chats in local cafes and the excellence of New Urbanism city planning along with locally owned businesses, 30A is your ticket. Pick your pleasure! Some enjoy burying their toes in fine-grain sand, basking in the rays along dreamy green waters and sipping on their favorite cocktails while others prefer the challenge of hiking or biking through pine forests or hauling in massive fish right out of the Gulf. 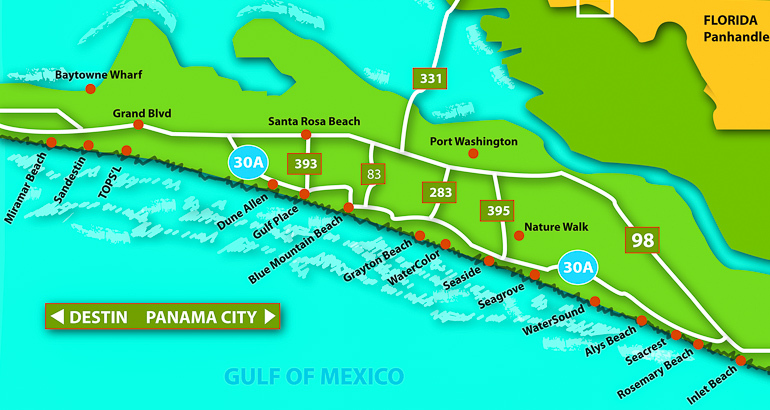 Whatever your pace you can find your place on 30A. Seaside — Architectural marvels and New Urbanism. Choose your own adventure along Scenic Highway 30A! The opportunities for coastal living are numerous and dreamt of by many. 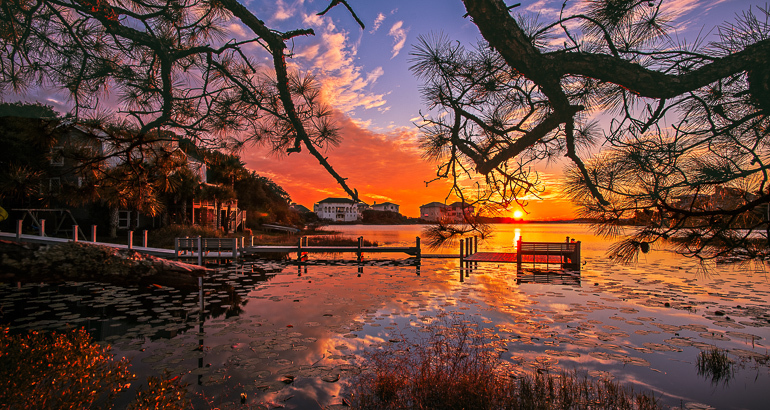 Freedom, peace, serenity, inspiration, adventure—all are found intertwined into the quiet customs, colorful homes and peaceful streets of the Scenic Highway 30A’s communities. What are you waiting for? Come live the dream!